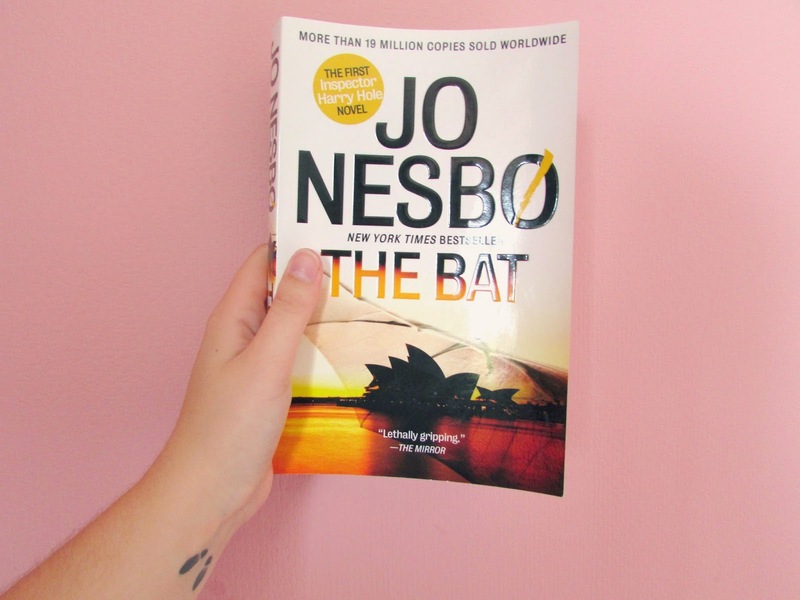 The Bat is the first book in the Harry Hole series by Jo Nesbo. Harry Hole is a Norwegian detective and in this first book he's dispatched to Sydney to help with a murder case. I found this book really slow to start with, apart from the death being investigated, nothing much was happening. This might be because it's the first book so it's introducing us to the characters but I wanted some more interesting things to happen. When it gets going though there are so many twists it feels much more real than the crime books where the reader can easily guess it. It makes you doubt all the characters, then makes you feel bad for doubting them. The character of Harry Hole is OK. He's basically the same main detective in every single crime novel every written; alcoholic and bad with women. I'd like to read a crime novel with a more original lead detective one day. I quickly picked up the second book in this series, Cockroaches, 'cos I really do freaking love crime novels. I especially love finding a good series 'cos I get settled into the particular authors style. And each book in the series is still different, just has a few constants in it so the character can be made deeper and more complex. This book took Hole to Bangkok which I loved. The descriptions of it were so good I could really imagine it! This book was much more fast paced, and darker than the first. I'm coming to expect this from all of these books - you really can never guess who the killer will be! Coming up to the end one chapter is written amazingly from a few points of few and you're all geared up for the climax, and then it totally shocks you and you flick back to read it again and make sense of it all! I enjoyed this one more than the first book and can't wait to read the next one. Anyone read these books before? What did you think? Do you guys like crime novels as well? The more gruesome the better I think!